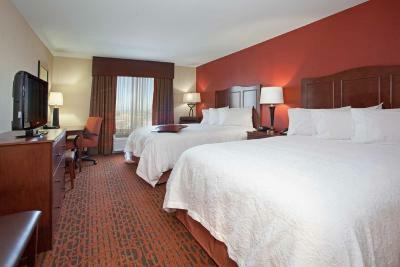 Lock in a great price for Hampton Inn and Suites Denver/South-RidgeGate – rated 9 by recent guests! The room was great, the beds were comfortable, and the cooler mostly worked. The location was perfect for our needs. The lower score came from the breakfast. Lots of restaurants and shopping near by. Very clean. Very comfortable room and bed, big bathroom. A room on the main floor with two computers for guests to use. Nice breakfast, front desk staff were pleasant and helpful. We were spending the day in Parker, 15 minutes away, and this was cheaper than the same hotel there. . Entire staff that I had interaction with was top notch in every way. "Swift" at reception was particularly exceptional. Accommodated our pet. Breakfasts were wonderful. Extremely nice, clean, and comfortable place to stay. Very clean and nicely appointed rooms. Good workout room. The rooms are clean and comfortable. Staff was great and friendly. Breakfast was well done and tastefull. The hotel served our purpose very well. The breakfast was good/adequate. The staff was wonderful. The location was a little hard to find but not bad. And still very convenient location. Very pleasant experience overall. Fabulous bed! The king suite was very spacious and well-organized, with thoughtful extras like lamps with additional outlets on them and a large desk. The bed had extra pillows and soft sheets. We loved the stay for the value. Great location and the hotel was clean and smelled good (according to the "boss") Breakfast was very good. Several good options, hard to find for this price of hotel. Bed was comfortable and room was clean. We are in the area again ,this would definitively be a place we stay again. 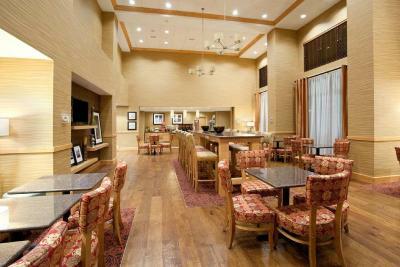 Hampton Inn and Suites Denver/South-RidgeGate This rating is a reflection of how the property compares to the industry standard when it comes to price, facilities and services available. It's based on a self-evaluation by the property. Use this rating to help choose your stay! One of our best sellers in Lone Tree! 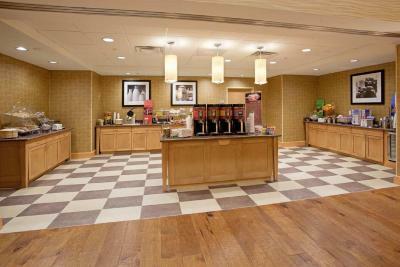 Located adjacent to Skyridge Medical Center off I-25, this Lone Tree hotel provides a daily continental breakfast and hot coffee and tea. Free Wi-Fi is included in all guest rooms. 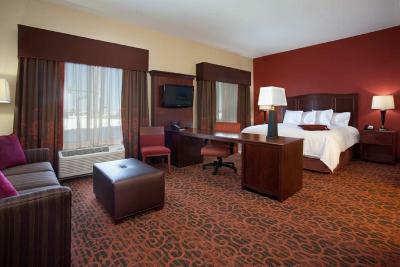 A flat-screen cable TV is featured in each guest room at Hampton Inn and Suites Denver/South-RidgeGate. A spacious work desk and lap desk are provided for convenience. Coffee-making facilities are included. A fitness center is available for guest relaxation. A business center is provided. A guest launderette is located on site. The Meridian Business Park is 3 miles away. Meridian Golf Club is 8 minutes’ drive away. Denver International Airport is 35 minutes’ drive away. This property is also rated for the best value in Lone Tree! Guests are getting more for their money when compared to other properties in this city. 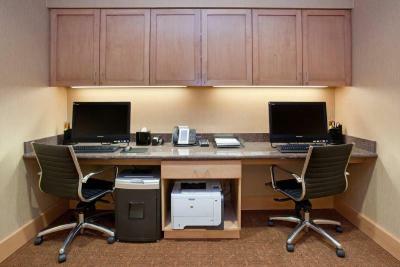 When would you like to stay at Hampton Inn and Suites Denver/South-RidgeGate? Free Wi-Fi, a flat-screen cable TV, a desk, a lap desk and coffee-making facilities are included in this room. Free Wi-Fi, a flat-screen cable TV, a microwave, a refrigerator, a sofa bed, a desk, a lap desk and coffee-making facilities are included in this room. 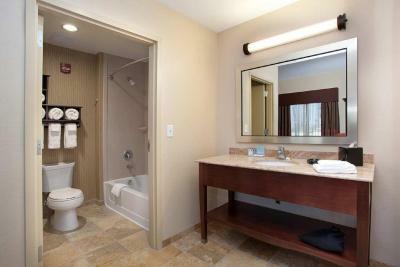 This mobility and hearing accessible room features an accessible bathtub, free WiFi and a flat-screen cable TV. A desk and coffee-making facilities are also offered. 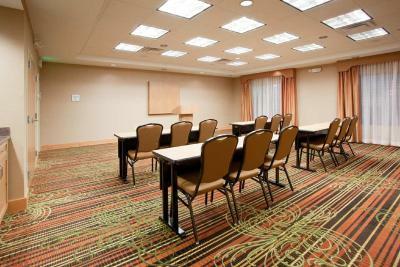 Welcome to Hampton Inn & Suites Denver/South-RidgeGate, located near Denver and close to the Meridian Business Park. We are also just a couple minutes from the SkyRidge Medical Center. 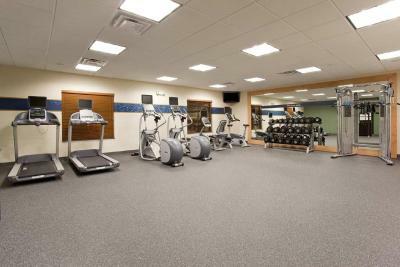 Enjoy our free hot breakfast, fitness center and WiFi. House Rules Hampton Inn and Suites Denver/South-RidgeGate takes special requests – add in the next step! Hampton Inn and Suites Denver&#47;South-RidgeGate accepts these cards and reserves the right to temporarily hold an amount prior to arrival. Hampton Inn and Suites Denver/South-RidgeGate accepts these cards and reserves the right to temporarily hold an amount prior to arrival. Its a bit close to the road if you get rooms on the wrong side. We got some food (there was very little that didn't have gluten, but that's a personal issue) and were excited to see that they had Cranberry Juice in the dispenser - the Hampton the night before only had apple & orange. After I filled a cup for my mom, I noticed that there was a film on the top, & green bits floating in it. I pointed them out to the attendant, and for the next 20 minutes or so that we were sitting there I never saw her do anything with the machine. She threw out the 4 cups of juice we had, but I never saw her change anything with the machine. It made me question having eaten anything at all. Gross. The location was a little hard to get into. No microwave in room and property has a pool on images but there is no pool on property. This was the whole purpose of our stay was because we wanted to go swimming but there was not a pool. The location and room was ideal. We had trouble finding the location. Small thing - was looking forward to scrambled eggs, but ham had been mixed in. Maybe have the ham cooked separately from the eggs for vegetarians and those who don't eat ham for religious reasons? I didn't go hungry - there was plenty to eat! Mattress was a little hard...I had expected the Serota Cloud Nine pkg for kings as in other Hamptons. The pillows were not as good as I liked... believe the foam pillows need an update. Seriously!! Everything was fine but for the shower water pressure which was not particularly good and a bit of a shortage of electrical outlets. Very clean and the staff were great. On the survey: The fact that spouse is not listed on the question “who were you traveling with?”. That offends me!